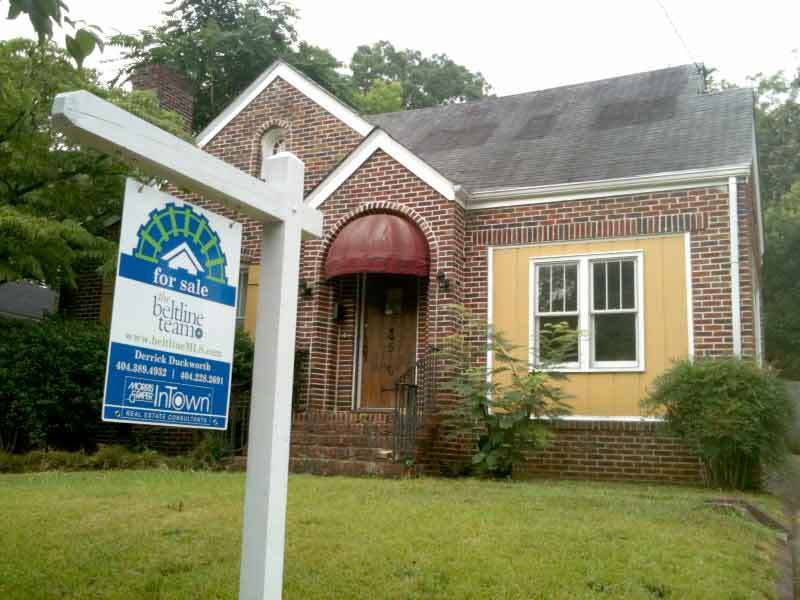 Selling your Atlanta home can be a rewarding experience, especially when you have The BeltLine Team on your side! When it comes to selling your Atlanta home, especially in what some would consider a down market, knowing your real estate market can make all the difference. Selling your biggest investment evokes a range of emotions – excitement, relief, anxiety, sadness, stress, nervousness – and we’re here to give you peace of mind. As a homeowner along the Atlanta BeltLine, you have a distinct advantage. The BeltLine is the largest real estate redevelopment project in the country and it's having a profound impact on your property's value, your neighborhood, the City of Atlanta, and is already an added benefit to your home now and into the future. Nobody else in Atlanta specializes in selling homes like yours like The BeltLine Team. So you can rest assured that with The BeltLine Team, you will fully understand your real estate market, feel prepared to put your home on the market at the right price when you’re ready, and know that we’re working hard to advertise your home and bring qualified buyers. What’s my home worth? How do you determine the selling price for my home? Find out what your home is worth is today’s market. What causes a home to sell? Find out now. What can I do to prepare my home to make sure it sells quickly? What repairs should I make? 30 easy tips you can do right now to increase your curb appeal. How much do you charge? What are your fees? Understanding your costs. Should I get a home pre-inspection? Benefits of a pre-inspection. How often will you call me? I hardly ever heard from my last agent. Importance of communication. How will you market my home and find qualified buyers? Attracting buyers. Is it really that important that my home is located on the BeltLine? Is the project really happening? Significance of the Beltline. Can I afford to buy my next home while waiting for my current one to sell? Get financing information. Am I really, truly committed to selling my home? Assessing your motivations. I have to net a certain amount in order to sell. What if I don’t net that amount? Explore your options. Is my home in one of the 45 BeltLine neighborhoods? Find out here with our list of neighborhoods! How do I know my belongings are safe with people coming and going all of the time? Safety of your home. Do you have a list of recommended contractors, vendors, and movers that can help me? Recommended service providers. Whether you're moving up to accommodate a growing family, downsizing due to retirement, or short selling to avoid foreclosure, The BeltLine Team is here to help and to ease your mind. So when you decide to sell your home, please contact us and let's get started!